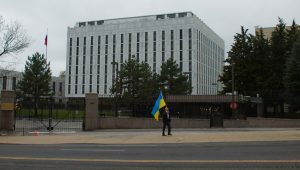 2018/11/26 Protest – Stop Russia’s Aggression in Ukraine! Ukraine is under attack again. This time, it is at the Sea of Azov. 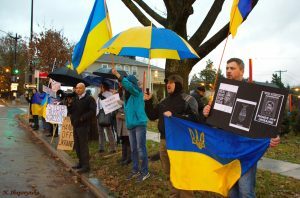 On Monday, November 26, 2018, US Ukrainian Activists (USUA) and United Help Ukraine (UHU) organized the protest against Russia’s aggression towards Ukraine. This entry was posted in Raising Awareness and tagged Diaspora. Bookmark the permalink.